February 10-11, 2012 at CSULA. Friday, Feb 10, the conference will be in the Student Union Theater at CSULA. Saturday, Feb 11, the conference will be in the Golden Eagle Ballroom at CSULA. The theme is Teotihuacan to Tenochtitlan: Cultural Continuity in Central Mexico. Please reserve these dates at AHSMeso2012@gmail.com $10 admission ($5 for CSULA students with Student ID). All day parking is $6 per day. The parking lots closest to the Student Union and Golden Eagle Ballrooms are Lot 5 or Structure C.
ALFREDO LÓPEZ AUSTIN, Universidad Nacional Autónoma de México. Investigator at the Instituto de Investigaciones Antropológicas of the Universidad Nacional Autónoma de México (UNAM). Alfredo López Austin also received his doctorate in history from UNAM. A specialist in Mesoamerican history and culture with a focus on cosmovision, myth, ritual, and iconography, he is the co-author of six books and has written fifthteen as sole author. Among the latter are Hombre-dios: Cuerpo humano e ideología (English edition, The Human Body and Ideology); Los mitos del tlacuache (English edition, The Myths of the Oposum); El conejo en la cara de la Luna (English edition, The Rabbit on the Face of the Moon; Japanese edition, Tuki no usagi); Tamoanchan y Tlalocan (English edition, Tamoanchan, Tlalocan: Places of Mist; French edition, Les paradis de brume). As coauthor with Leonardo López Luján, he has published El pasado indígena (English edition, Mexico’s Indigenous Past; Italian edition, Il passato indigeno); Mito y realidad de Zuyuá, and Monte Sagrado-Templo Mayor. As coauthor with Luis Millones, he published the book Dioses del Norte, dioses del Sur: Religiones y cosmovisión en Mesoamérica y los Andes. A highly revered Mexican archaeologist that has since 1978 directed excavations at the Templo Mayor, the remains of a major Aztec pyramid in central Mexico City. Matos Moctezuma graduated with a master’s degree in archaeology from the National School of Anthropology and History and a master’s degree in anthropology from the National Autonomous University of Mexico. He has excavated at archaeological sites in both the Maya area and in central Mexico. In addition to the Templo Mayor Project, Matos has directed major fieldwork projects at the sites of Tula and Teotihuacan. He has also made important contributions to the study of the history of archaeology in Mexico. Matos Moctezuma was director of the Templo Mayor project from its start in 1978. This was one of the most important archaeological projects in the world. Several seasons of excavations uncovered the construction history of this central temple of the Aztec Empire. Numerous rich offerings were located around the temple area. This project overturned scholarly understanding of Aztec religion, empire, and ideology. 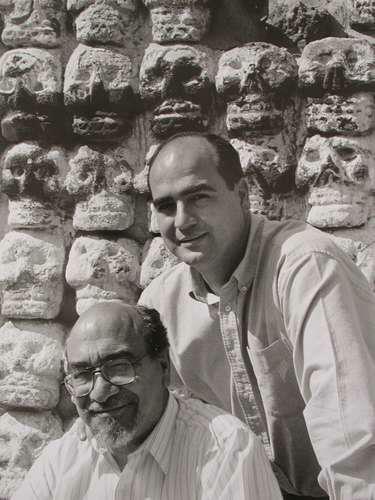 Matos Moctezuma oversaw the creation of the Templo Mayor Museum in which these spectacular finds are displayed in lavish exhibits, and he directed the Museum for many years. 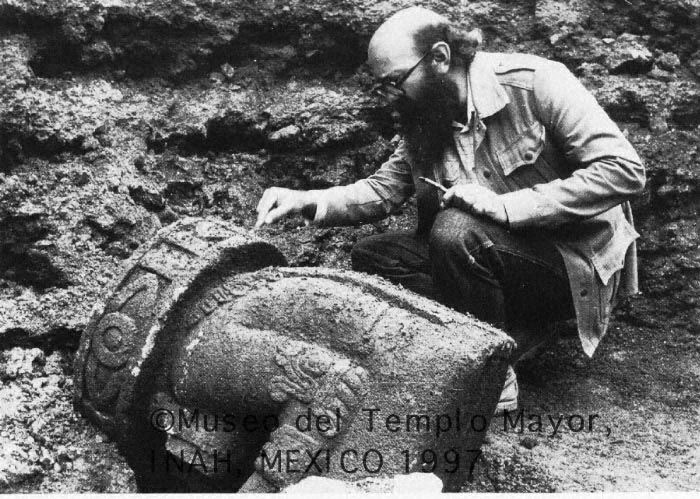 1987 saw the creation of the Urban Archaeology Program (directed by Matos) in which excavations in downtown Mexico City were expanded beyond the immediate site of the Templo Mayor. This research continues today. Leonardo López Luján is a Senior Professor and Researcher at the Museo del Templo Mayor, INAH (Mexico City). 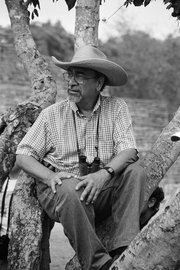 Dr. López Luján has excavated in the ruins of Tenochtitlan since 1980, and directed the Templo Mayor (Great Temple) Project since 1991. He received his Ph.D. in Archaeology from University of Paris, and has been an invited professor at the Sorbonne in Paris and at the Sapienza in Rome. He has been a visiting research fellow at Princeton University and Dumbarton Oaks, Washington D.C. He has authored and edited more than 19 books and has written over 80 articles in journals and books from Mexico, the United States, Europe, and Japan. Among his published works are: The Offerings of the Templo Mayor of Tenochtitlan; Gli altopiani delle guerre (with G. Mastache and R. Cobean); Mexico’s Indigenous Past (with A. López Austin); Aztèques. La collection de sculptures du Musée du quai Branly (with M.-F. Fauvet), La Casa de las Águilas, and Monte Sagrado-Templo Mayor (forthcoming, with A. López Austin). Diana Magaloni Kerpel studied at the National Institute of Anthropology and History specializing in restoration and mural painting, and received graduate degrees in art history from the National Autonomous University (UNAM) in Mexico City and from Yale University. Her research has focused on the study of Mesoamerican and indigenous pictorial techniques in the 16th century, and she is developing an interdisciplinary method combining chemistry, physics, archaeology, ethnography, and art history to understand how mural paintings and codices were created. 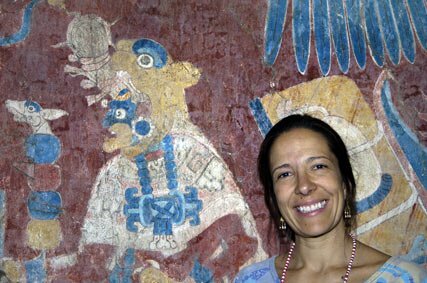 She has written extensively about pre-Hispanic mural art and is currently writing a book about the materials, images, symbolism, and narratives of the Florentine Codex. National Museum of Anthropology in Mexico City is the finest museum of archaeology and anthropology in the Western hemisphere exceeding collections found at the Smithsonian in Washington, D.C. The National Museum of Anthropology owns the world’s most impressive collection of pre-Columbian Mexican art, including sculpture, painting, pottery, and other works. Since it was founded in 1964, it has displayed and studied the fascinating art, artifacts, and cultures of the pre-Columbian Mexican world and its descendants, the indigenous peoples of Mexico. An American Mesoamericanist, archaeologist, epigrapher and ethno-historian, known for his publications and research into the pre-Columbian cultures of Mesoamerica and the American Southwest. In 2008 he was named the College of Humanities, Arts, and Social Sciences distinguished lecturer. Taube received his B.A. 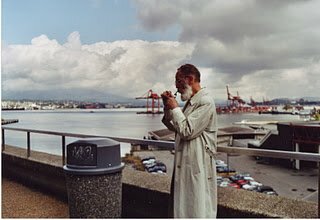 in Anthropology in 1980 from Berkeley and his masters from Yale in 1983 and 1988 he received his Doctorate. At Yale Taube studied under several notable Mayanist researchers, including Michael D. Coe, Floyd Lounsbury and the art historian Mary Miller. Taube later coauthored with Miller a well-received encyclopaedic work, The Gods and Symbols of Ancient Mexico and the Maya. 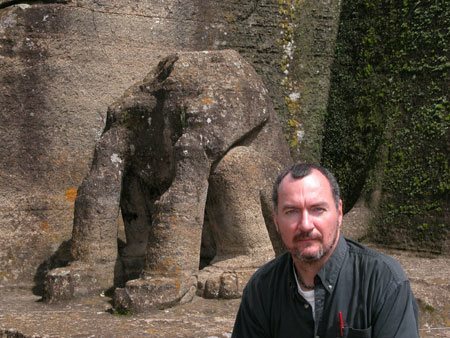 Field research undertaken during the course of his career include a number of assignments on archaeological, linguistic and ethnological projects conducted in the Chiapas highlands, Yucatán Peninsula, central Mexico, Honduras and most recently, Guatemala. As of 2003, Taube has served as Project Iconographer for the Proyecto San Bartolo, co-directed by William Saturno and Monica Urquizu. His primary role is to interpret the murals of Pinturas Structure Sub-1, dating to the first century B.C. In 2004, Taube co-directed an archaeological project documenting previously unknown sources of “Olmec Blue” jadeite in eastern Guatemala. 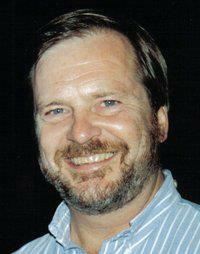 Taube has also investigated pre-Columbian sites in Ecuador and Peru.An early theme examined by Taube’s papers and other publications concerned the agricultural development and symbolism of Mesoamerica, such as in his 1983 presentation to the 5th Palenque Round Table on the Maya maize god. Taube has also written on the symbolism and deity associations of maize for other cultures, such as the Olmec. Another research theme explored by Taube is that of inter– and intra-regional exchanges and contacts for Mesoamerica, such as with those of Aridoamerica and the American Southwest. He has also researched the interactions between Teotihuacan, a dominant center in Mexico’s plateau region during the Classic era, and contemporary Maya polities. 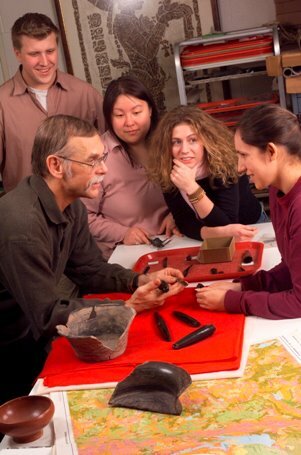 Dr. Pohl has conducted archaeological excavations in North and Central America, curated several major exhibitions, and published extensively on American Indian civilizations of southern Mexico. His books include Exploring Mesoamerica, The Politics of Symbolism in the Mixtec Codices, and Aztecs and Conquistadores: The Spanish Invasion and the Collapse of the Aztec Empire. He is currently preparing a much anticipated Mesoamerican exhibit at LACMA entitled Children of the Feather Serpent. Dr. Pohl is considered an expert in Mixtec and Zapotec iconography. He currently holds teaching positions at both UCLA and CSULA. Dr. Pohl received his B.A. from Hampshire College and his M.A. and Ph.D. degrees in Archaeology from UCLA. 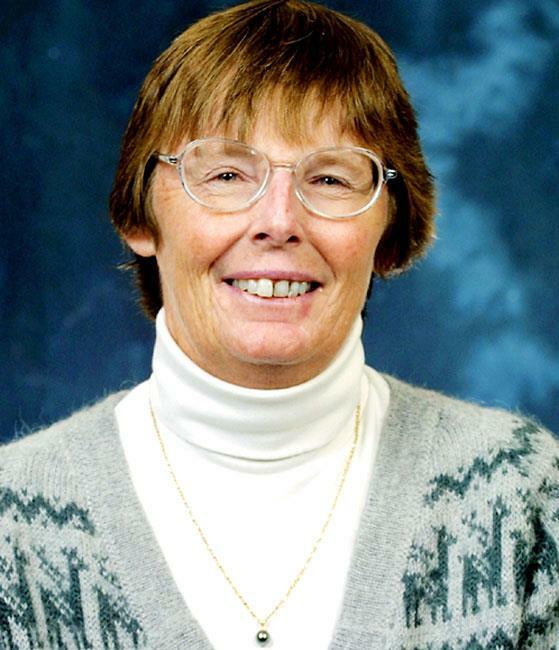 Dr. Berdan, has been a member of the CSBS Anthropology Department since 1973. In 1983, Dr. Berdan was the recipient of the CSU systemwide “Outstanding Professor.” Dr. Berdan specializes in Mesoamerican cultures and is known internationally as an expert on Aztec civilization. Dr. Berdan has appeared often on the History Channel and the Discovery Channel commenting on the indigenous Mexica, commonly known as the Aztecs. Dr. Berdan is one of a few scholars in the world versed in the Aztec language, Nahuatl. With several books and close to 100 publications to her credit. She is the author or co-author of 13 books, including the magisterial and prize-winning four volume Codex Mendoza. Compiled in Mexico City around 1541 under the supervision of Spanish clerics, the codex was intended to inform King Charles V about his newly conquered subjects. The manuscript contains pictorial accounts of Aztec emperors’ conquests and tribute paid by the conquered, as well as an ethnographic record of Aztec daily life from cradle to grave. This publication is an unsurpassed source of information about Aztec history, geography, economy, social and political organization, glyphic writing, costumes, textiles, military attire, and indigenous art styles. Dr. Berdan is currently working on four additional books about Aztec society. Dr. Hirth’s research focuses on the origin and development of ranked and state-level societies in the New World. He is especially interested in political economy and how forms of resource control lead to the development of structural inequalities within society. Topics of special interest include: exchange systems, craft production, settlement pattern studies, and preindustrial urbanism. Methodological interests include: lithic technology, ceramics, spatial analysis, and lithic use-wear. Dr. Hirth is one of just three internationally recognized experts on the archaeological site of Xochicalco, an epiclassic site in Mexico. The polity of Xochicalco reach its greatest splendor after the fall of Teotihuacan. It was a militaristic power in Central Mexico that preceded Tenochtitlan. Dr. Hirth has published: (1) Ancient Urbanism at Xochicalco. The Evolution and Organization of a Prehispanic Society (Vols. 1 and 2); (2) Archaeological Research at Xochicalco; and (3) The Xochicalco Mapping Project, Archaeological Research at Xochicalco. Professor Eloise Quiñones-Keber’s research interests center primarily on Mesoamerican manuscripts, Aztec (Mexica) art before and after the Spanish conquest of Mexico, and issues surrounding the encounter between indigenous and European traditions in the Americas. She is finishing a book on “reinventing Aztec art,” for which she was awarded a Guggenheim Fellowship in 1998-1999. She received the 1996 Ralph Waldo Emerson Award in humanistic studies from the Phi Beta Kappa Society for Codex Telleriano Remensis and the 1996 Distinguished Scholarship Award from Baruch College, CUNY, where she also teaches. Publications: Editor. Thematic Issue on 16th-Century Mexican Conventos (missions) for Colonial Latin American Review, in preparation, Editor. Representing Aztec Ritual. Boulder:University Press of Colorado, 2002, Editor. “Precious Greenstone, Precious Quetzal Feather / In Chalchihuitl” inQuetzalli: Mesoamerican Essays in Honor of Doris Heyden. Lancaster, CA: Labyrinthos Press, 2000, Codex Telleriano Remensis: Ritual, Divination, and History in a Pictorial Aztec Manuscript. Austin:University of Texas Press, 1995, Editor.Chipping away on Earth: Studies in Prehispanic and Colonial Mexico. Lancaster, CA:Labyrinthos Press, 1994, Co-editor. Mixteca Puebla: Discoveries and Research in Mesoamerican Art and Archaeology. Lancaster, CA:Labyrinthos Press, 1994, Co-editor. The Work of Bernardino de Sahagún: Pioneer Ethnographer of Sixteenth-Century Aztec Mexico. Austin: University of Texas Press, 1988, Co-author. Art of Aztec Mexico: Treasures of Tenochtitlan. Exh. Cat. Washington, D.C.: The National Gallery of Art, 1983. 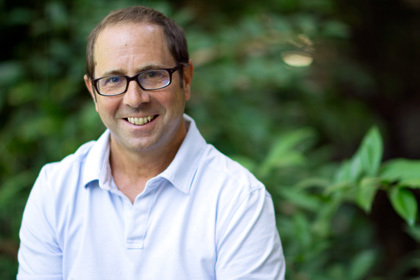 Kevin Terraciano is Professor of History, chair of the Latin American Studies Graduate Program, and interim director of the Latin American Institute. He specializes in Colonial Latin American history, especially Mexico and the indigenous cultures and languages of central and southern Mexico. 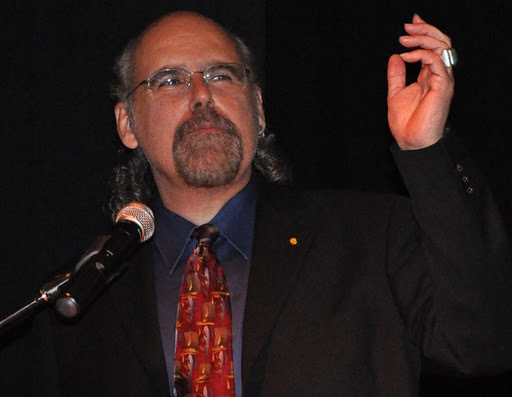 Kevin Terraciano is also the current President of the American Society of Ethnohistory. Terraciano collaborated with Professors Lisa Sousa (Occidental College) and Matthew Restall (Penn State University) on a volume of edited, translated, and analyzed native-language texts from Colonial Mexico and Guatemala, titled Mesoamerican Voices: Native-Language Writings from Colonial Mexico, Oaxaca, Yucatan, and Guatemala (Cambridge University Press, 2005). Terraciano is also an expert in the Nahua language, the indigenous language of Central Mexico. Dr. Davíd Carrasco is the Neil L. Rudenstine Professor of the Study of Latin America, with a joint appointment with the Department of Anthropology in the Faculty of Arts and Sciences. He is a Mexican American historian of religions with a particular interest in religious dimensions in human experience, Mesoamerican cities as symbols, immigration, and the Mexican-American borderlands. Working with Mexican archaeologists, he has carried out 20 years of research in the excavations and archives associated with the sites of Teotihuacan and Mexico-Tenochtitlan. He has participated in spirited debates at Harvard with Cornel West and Samuel Huntington on the topics of race, culture, and religion in the Americas. This has resulted in publications on ritual violence and sacred cities; religion and transculturation; the Great Aztec Temple; and the history of religions in Mesoamerica and Latino/a religions. Recent collaborative publications includeBreaking Through Mexico’s Past: Digging the Aztecs With Eduardo Matos Moctezuma (2007) and Cave, City, and Eagle’s Nest: An Interpretive Journey Through the Mapa de Cuauhtinchan No. 2 (2007; gold winner of the 2008 PubWest Book Design Award in the academic book/nontrade category) recently featured in the The New York Review of Books. His work has included a special emphasis on the religious dimensions of Latino experience: mestizaje, the myth of Aztlan, transculturation, and La Virgen de Guadalupe. He is co-producer of the film Alambrista: The Director’s Cut, which puts a human face on the life and struggles of undocumented Mexican farm workers in the United States, and he edited Alambrista and the U.S.-Mexico Border: Film, Music, and Stories of Undocumented Immigrants (University of New Mexico Press). He is editor-in-chief of the award-winning three-volume Oxford Encyclopedia of Mesoamerican Cultures. His most recent publication is a new abridgement of Bernal Díaz del Castillo’s memoir of the conquest of Mexico, History of the Conquest of New Spain (University of New Mexico Press). Carrasco has received the Mexican Order of the Aztec Eagle, the highest honor the Mexican government gives to a foreign national. MANUEL AGUILAR-MORENO, California State University, Los Angeles. Manuel Aguilar-Moreno was born in Guadalajara, México. He received his B.S in Electronic Engineering and then a certification in Education at the ITESO University. Following this, Dr. Aguilar-Moreno received an additional degree in Mexican History with special emphasis on the state of Jalisco, from “El Colegio de Jalisco”. 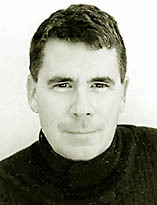 In 1997 he completed his studies for a Master’s degree in Latin American Studies at the University of Texas At Austin, and then in 1999, received an Interdisciplinary Ph.D. in Art History and Anthropology, also from the University of Texas at Austin where he studied with the late Dr. Linda Schele and Dr. Karl Butzer. Dr. Aguilar-Moreno has made numerous intensive cultural and investigative research trips within his native Mexico as well as to diverse countries of America, Europe, Asia and Africa. He has been a professor of Art History, World History, History of México and Biblical Literature at such institutions as the Jesuit University and the Instituto de Ciencias, in Guadalajara, Mexico; the University of San Diego, California; the University of Texas at Austin; and Saint Peter’s Prep School in New Jersey. 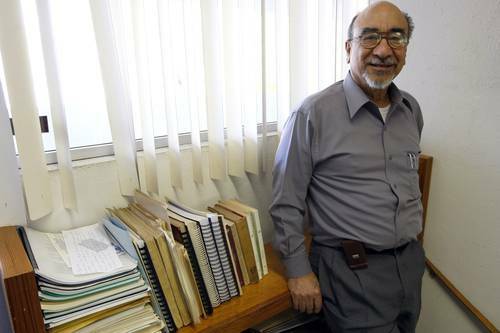 Dr. Aguilar-Moreno was also the Principal of Instituto de Ciencias, the Jesuit High School in Guadalajara.He is author of numerous books, among them: The Belen Cemetery: an architectural and historical study (1992), The Meaning of the Bible (1994), Quest for the Atlquiahuitl: Cajititlan (1995), El Panteón de Belén y El Culto a los Muertos en México: Una búsqueda de lo sobrenatural (1997), The Cult of the Dead in México: Continuity of a Millennial Tradition (1998), The Perfection of Silence: The Cult of Death in Mexico and the Cemetery of Belén (2003), Ulama (2004), Utopia de Piedra: El Arte Tequitqui de Mexico (2005), and Handbook of Life in the Ancient Aztec World (2006). He also has written countless articles in edited books, journals, magazines and newspapers.Dr. Aguilar-Moreno is frequently asked to present on the History of Mexican Art as well as World Art in the United States, Mexico and Europe. Currently, Dr. Aguilar-Moreno is a professor of World and Latin American Art History at California State University Los Angeles. He is also professor of Mexican Art History for summer courses at the University of San Diego. In 2009, Dr. Aguilar was honored at Cal State L.A. with an Outstanding Professor Award for 2008-2009.